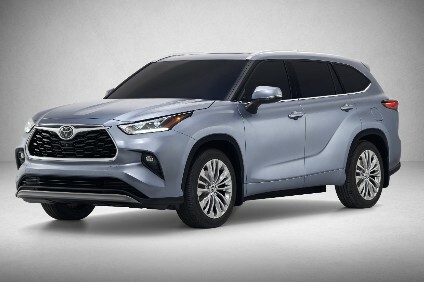 Toyota Motor said one of its plants this week will roll out the nine millionth car built in the European region since production started in 1971. Two out of three vehicles the automaker sells on the continent are now made in one of its six vehicle plants and three powertrain plants located in Portugal, the UK, Turkey, France, Poland, the Czech Republic and Russia. 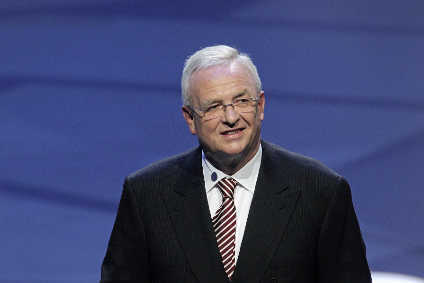 Toyota Europe president and CEO Didier Leroy said: "We have a long tradition of building locally what we sell locally. Recently, we have also expanded our exports outside Europe based on the competitiveness of our European operations. We are committed to keeping production in Europe by bringing technology like hybrid and management innovations that enable us to continuously make our manufacturing plants globally competitive." European assembly started in 1971 with the establishment of a knocked-down kit operation building the KE20 series Corolla four-door sedan. Today's nine European manufacturing plants in seven countries, represent investment of around EUR8bn and produce an extensive range of vehicles for European customers as well as some exports to the US. Toyota Caetano Portugal now makes the Dyna truck light commercial. Toyota Motor Manufacturing United Kingdom, which started Carina II production in 1992, now makes the Avensis sedan and wagon, the Auris hatchback and the Touring Sports wagon including hybrid versions at its Burnaston plant in Derbyshire. TMUK also produces 1.6- and 1.8-litre VVT-i engines and assembles the hybrid engines at its Deeside plant in North Wales. 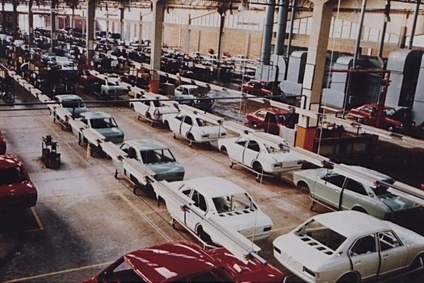 Toyota Motor Manufacturing Turkey also started with KD kit assembly, in 1994, and now produces the Corolla and Verso models. Toyota is yet to confirm this but a report in Japan today (15 October) said the plant would add compact SUVs, including hybrids, from 2016. Toyota Motor Manufacturing France started Yaris [Vitz] production in 2001 and is now making the third generation model including hybrids. In 2013 it started building for North America. Toyota Motor Manufacturing Poland started production in 2002 and makes one-litre petrol engines for the Czech-built Aygo and French-made Yaris plus manual transmissions for the Auris, Avensis, Verso, Corolla and Aygo. Having started production in 2005, Toyota Motor Industries Poland is making two- and 2.2-litre D-4D diesel engines for Avensis, Auris, Verso, RAV4 and 1.4-litre D-4D diesel engines for Yaris, Auris and Corolla. Producing since 2005, the Czech Republic joint venture with PSA Peugeot Citroën, Toyota Peugeot Citroën Automobile, is manufacturing the latest Aygo, launched earlier this year alongside its Peugeot and Citroen badged variants. Toyota Motor Russia started production in 2007 in Saint Petersburg and is producing the Camry. This year it will add stamping and plastics production. The plant is adding the RAV4 in 2016. "Looking ahead," Leroy added, "we have every reason to remain optimistic. With the recent launch of the new generation Aygo and Yaris we have the youngest compact offer in the market. Sales of these European-built models just started and we are very confident that they will reinforce our position in the A- and B-segments and with that, the foundation of our manufacturing operations in the Europe region." Toyota's European design has gained more autonomy from Japan and new models are tailored for the taste of European customers. Under Toyota's 'Global Vision', operations in Europe will be taking up an increasingly larger role as global planning centre to define the future generations of cars in the essential European A, B and C segments. Current Toyota’s contribution to employment in Europe is around 20,000 people employed directly by Toyota and its affiliates – around 94,000 including those in the dealer network. Toyota’s network of about 400 suppliers in Europe is sourcing parts from more than 600 manufacturing sites in the region. On the heels of the Paris Motor Show, Toyota announced a new milestone for its European operations with the production of the 9-millionth car built in its European region.